Filipinos are seeking jobs abroad especially in a country that gives high salary to its worker. 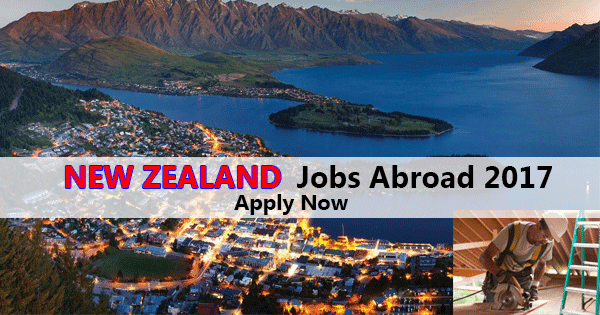 In a country like New Zealand, there is numerous job opening for Filipino Skilled Worker. MITAC OVERSEAS MANPOWER CORP. is one of the POEA accredited manpower agencies that recruiting a skilled worker to work in New Zealand. Its office address can be found in Rooms 609 & 611, Dona Felisa Syjuco Bldg. Remedios Cor. Taft Avenue, Malate, Metro Manila. This agency with POEA license number POEA-144-LB-042712-R has a valid license. It was renewed last May 25, 2016, and will be valid until May 24, 2020. 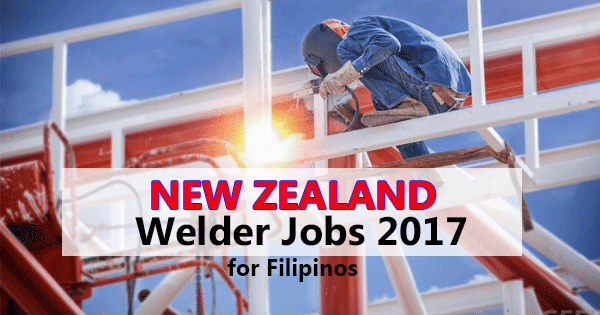 These are the list of available jobs in New Zealand for Filipinos this 2017 by Mitac Overseas Manpower Corporation. Applicant must have 5 years work experience related to the job, know how to communicate using an English dialect, and complete supporting documents. If you want to apply, you must have a Passport with validity of atleat 1 year, detailed resume, police clearance and jobsite photos. For more details in requirements and qaualifications, you may contact their numbers (02) 353-78-46 / 09064715709 / 09155047088 / 09217250082 / 09087054098. General Reminder: Apply directly to the agency and don't leave your personal details in the comment section. If you want to check their agency if it has a valid license, go to POEA website and search their name. Note: This blog is not connected to the said agency or in POEA, all of the information above was get in workabroad.ph website. Welding is one in the hundred course offered in TESDA. Shielded Metal Arc Welding (SMAW), Gas Tungsten Arc Welding (GTAW), and Shielded Metal Arc Welding (GMAW) are the major kinds of a welding. Skilled welders who graduated in TESDA has a certificate that required in some jobs locally or overseas. 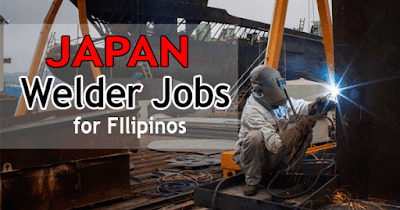 In one of our article "Welder Jobs in Japan for Filipinos (No Placement Fee)", we list down the agencies that offer welding jobs in JAPAN. In this post, we will write the verified agency that currently needed skilled workers (Welder) in New Zealand. 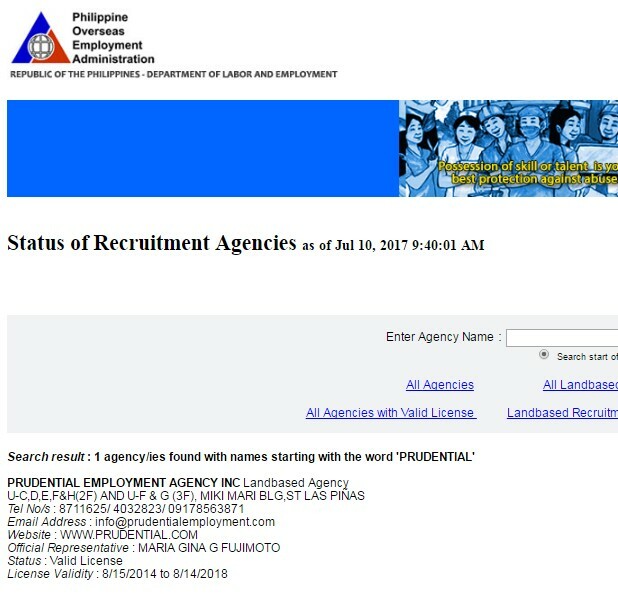 Note: This list of job vacancy is based on workabroad.ph website then we check in POEA official website if these agencies have a valid license and its expiration. Able to weld in MIG, TIG, and Stick in all positions. Agency Name: UNIPLAN OVERSEAS EMPLOYMENT INC.
Agency Name: PROFILE OVERSEAS MANPOWER SERVICES INC.
To apply to this agency, simply contact them first before submitting any documents. Ask the agency if the vacancy is still available and the complete requirements of this job. In case you want to verify their agency if it is legal or has an accreditation by POEA, simply got to official website of POEA (www.poea.gov.ph/cgi-bin/agSearch.asp ) and search the agency. General Reminders: This blog is not related to these agencies or in POEA. Apply directly to the agency and DON'T leave your personal details (Number, Passport) in the comment section. Are you a Welder who wants to apply or work in Japan with your skills? If yes, this post will help you find jobs in Japan. Check this list of agencies who needs a welder that can work in Japan. By the way, some of the agencies need a Tesda graduate in welding. Your Tesda National Certificate (NC) is needed. Applicant must also willing to undergo Japanese language (Nihongo) training. Agency Name : NHRFI HUMAN RESOURCES INTERNATIONAL, INC.
Agency Name : FRANCE ASIA INTERNATIONAL, INC. Ask the application process, and documents needed directly to the listed agency. Note: Specof.com is not connected to POEA or any agency listed above. We verified all the agencies in POEA website before we put it on this article. 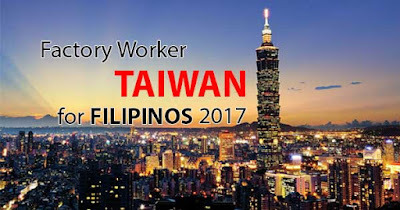 Check out this list of agencies that can help you find a Factory Worker jobs in Taiwan. The job of a Factory worker can be in computer hardware, glass manufacturing, auto parts, and electronics industry. Agency: JEDEGAL INT`L MANPOWER SERVICES INC. If you want to apply as Factory worker on the listed agencies above, simply inquire or ask them if the job is still available. We add the contact numbers and email address of each agency. Ask the agency the process, needed documents, and application deadline. You can verify an agency if their license is valid and its validity date. Go to http://www.poea.gov.ph/cgi-bin/agSearch.asp and type the name of the agency. This blog is not connected to any agencies above. We just share the list of agencies that have a valid license in POEA to operate. Our source is workabroad.ph. 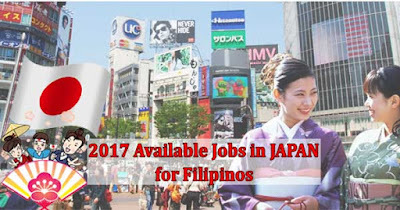 Good news to those Filipinos who plan to work abroad because this year, 12 million job opportunities will be available in Japan with No Placement Fee. An agency, Prudential Employment Agency Inc., is in need of highly skilled workers who can work in Japan. Some of the job they offer are Automotive, Baker, Building Plumber, Building Maitenance, building cleaners, Dairy Farmers, Construction Workers, Laundry workers and many more. All qualified applicant can go and submit the following documents at Units C, D, E, F & H, 2nd Floor And Units F & G 3rd Floor Miki Mari Building, Sta. Cecilia Road, Talon 2, Las Pinas City, Metro Manila Las Pinas City Metro Manila. If you can't visit their agency, you can also scan and send the said documents at recruitment@prudentialemployment.com. Well, sure, Filipinos are known to be competitive for the reason that we all know how to speak English. It has been taught to us from pre-school to college so we can confidently say we're knowledgeable in English, however, our eagerness to learn language does not stop in English alone, to be precise, we even try to translate our words in other languages as solution to our curiosity. Education Secretary Leonor Magtolis Briones and the Republic of Korea Ambassador to the Philippines Kim Jae Shin signed a Memorandum of Agreement (MOA) on June 21 at the Southeast Asian Ministers of Education Organization Regional Centre for Educational Innovation and Technology (SEAMEO INNOTECH), Diliman, Quezon City. Brace yourselves as DepEd introduces another foreign language which is to be taught in ten (10) selected secondary schools in the National Capital Region (NCR) that can cater in the needs of our fellow countrymen. 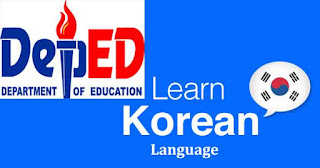 Korean Language will be introduced as the second foreign language according to DepEd and will be available this year. Kim Jae Shin stated that opportunities are more likely to open doors in both local and international employment, to those who learned how to speak Korean Language. K-12 students are very lucky to be given such opportunities to learn more than just two (2) languages. DepEd's special program in Foreign Languages also includes: French, Mandarin, Spanish, Nihongo, and German Language. Indulging ourselves to this may help our employment status around the world. We will be more skilled and competitive as we learn more languages which can definitely raise our employment rate wherever we may be. Special Program in Foreign Languages (SPFL), public high school students all over the country are also learning Spanish, Japanese, French, German, and Chinese-Mandarin.